There are places you could never go. And send them off exploring…..
Charlie Daemon was a late 21st century rock n roll star. One day he was ripped out of his life, away from the woman he loved, and woke up in the far future, the captain of a spaceship/moon on the other side of the cosmos. His crew is made up of twelve of the greatest artists, scientists, and leaders of the next eight hundred years: The doctor who invented the Martian race, the Queen of the British Corporation, a Chinese cyborg-warlord, an eight foot tall Australian Aborigine, a post-human physicist covered in white fur. 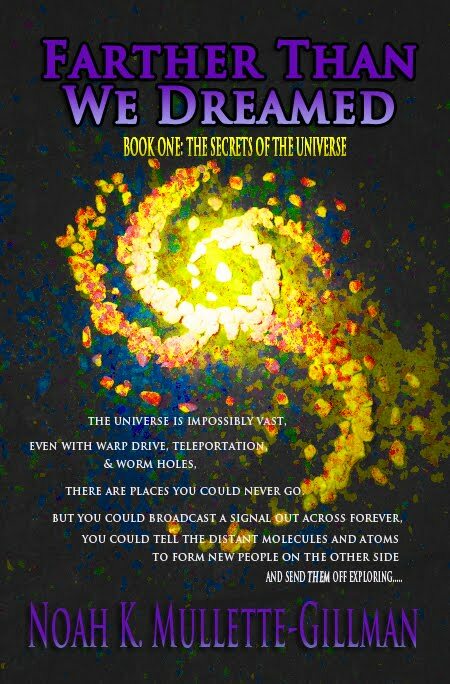 Together they must understand why they are there, explore the galaxies, explore reality, and come to grips with the results of lives they don’t even remember living. Read this book and ride a radio wave out past the other side of forever. Read this book and The Secrets of the Universe will be revealed to you. 508 pages. 103,000 words. This volume contains episodes 1-4 of the Farther Than We Dreamed saga: Clay, Waves, Crystal, and Cosmic Shag. AVAILABLE FOR PRE-ORDER ON AMAZON.COM NOW! AND JOIN THE FACEBOOK GROUP HERE. Two hundred years after humanity was forced to abandon Earth to the zombie hordes, three humans descend in great armored battle-suits into a world populated only by the ravenous and rotting undead. They will gun down as many hundreds and thousands of the monsters as necessary in their fight to retrieve the most important possession we left behind. Too bad one of them is an idiot. The Dead Have Ruled Earth for 200 Years is not a love story. It is not a work of spiritual mythology. It is bleeding and biting, cutting and explosions; a written rocket of death and disfigurement, with all humanity’s future at stake. Get ready for a white-knuckled descent into the worst of all possible nightmares. Two centuries after the end of the world, it may be the last story of humanity’s battle to survive. Magic makes you strange. It will change you. It will ruin you for this world. In 1936 aliens from the planet Pluto descend upon London to learn the secret of stage magician Nevil Dever's latest work of prestidigitation. They abduct the performer and his apprentice, Edward Whistman, on a flying saucer. Once on board the spaceship, young Edward meets a being from the planet Venus. The two of them make their escape together and Edward begins his descent into the dark world of real magic. "This book's title playfully hints about the dangers involved whenever humans make use of magic, and I can't really say more without actually starting to give you spoilers, except that Magic TRULY makes you strange." Noah's new Sci-fi / Horror novel is here! Lulu.com , Amazon.com , Amazon.co.uk , Smashwords and Barnes and Noble! Buy The White Hairs directly from the publisher! Download The Song of Ballad and Crescendo for free from Smashwords! "It reminds me of a quote my friend Lucinda Williams wrote on her CD: 'You do not know what wars are going on where the spirit meets the bone'....Magical book"
"Reminiscent of Paulo Coelho's The Alchemist, The White Hairs is a thoughtful book that flows at a slow, soft, meditative pace. The jury unanimously approves"
--Robert Duperre, Author of the Rift series, Journal of Always Reviews. Reading "the white hairs" leaves a literary taste of an out-of-body experience. It's almost like astral projection. “Farshoul watched as the long white hairs on his arms became translucent. He watched as they faded away. Soon he could see through the skin and bone of his arms to the ice beneath him. The frozen water that he could see through his phantom arm seemed more real than his own body. Subpages (13): Beyond Brilliant! by Noah and Dana Brontosaurus Pluto Society Contact Me Editing services for Authors English ESL lessons online from Noah! Farther Than We Dreamed Get to Know-an Author with Noahan Author! 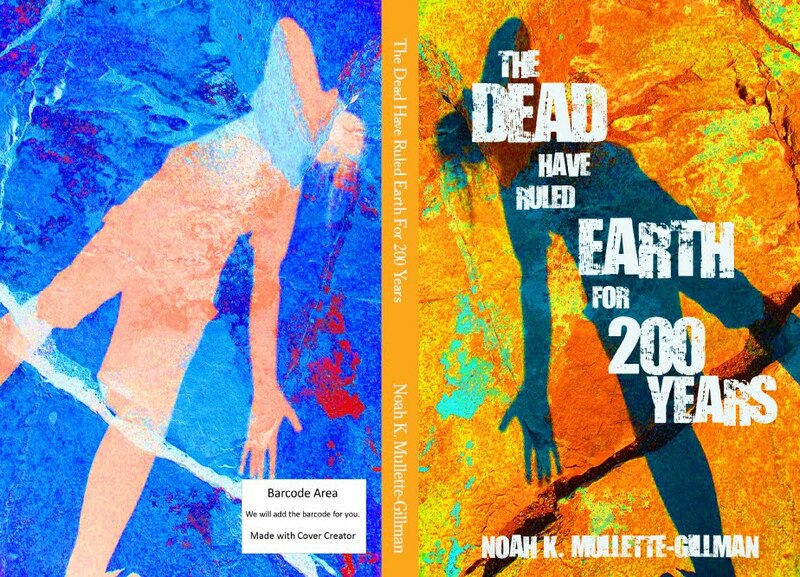 Luminous and Ominous Noah's Blog Ten Things We Need To Know The Dead Have Ruled Earth For 200 Years The Song of Ballad and Crescendo The White Hairs - Free Preview!